KBR Residency is a budget accommodation, situated in Dharma Reddy Colony Phase II in Kukatpally area. The nearby attractions are Calvary Mandir, Shilparaman, Venkateshwara Swamy Temple and more. The cosy and well-furnished rooms follow a minimalistic decor style which is soothing as well as refreshing to the guests. 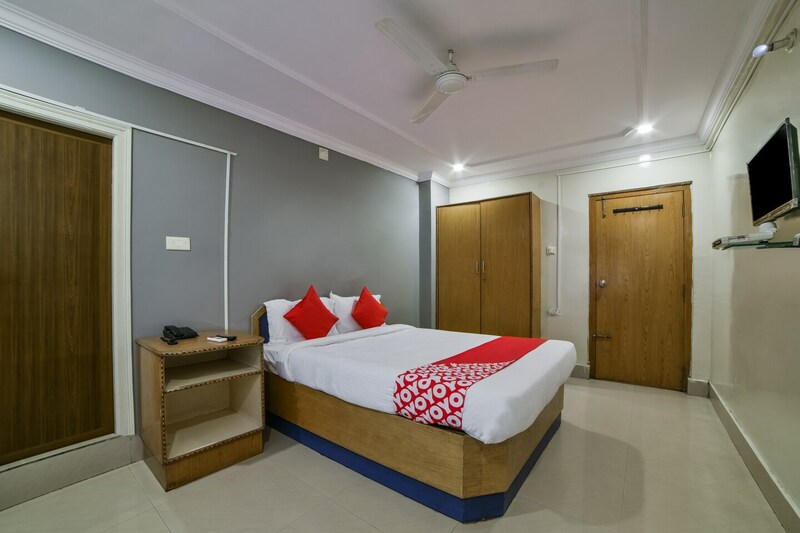 Each room at the hotel is equipped with AC, TV, Wi-Fi services and geyser in bathrooms. Other facilities offered are parking facility, power backup, card payment services, laundry services, elevator and CCTV surveillance. Guests can shop at South India Shopping Mall, Manjeera Mal and Forum Sujana Mall located close by.